The VegetationBeacon Component is designed to include/attract vegetation to areas. You can add it to any GameObject and save it with a prefab. You configure radius and a fallout curve. The curve controls the density from the center of the area and out to the edge. This can be used to add trees, plants or objects to an area. 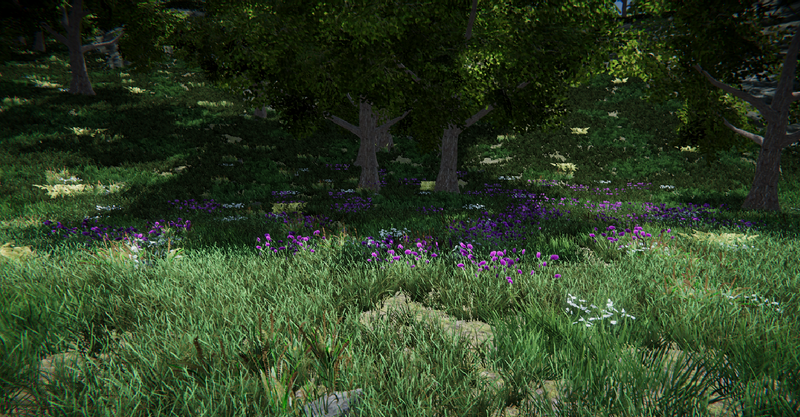 The included vegetation will still react to any configured rules, terrain textures, height, steepness, noise etc. And can also be culled by other VegetationMasks. This sets the effect radius of the Vegetation Beacon. 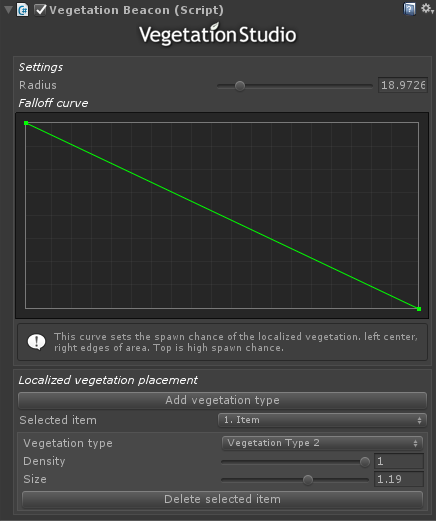 The falloff curves sets the density of the included vegetation types. Left of the curve is the center of the area and right the edges in all directions. Top is 100% of the normal density of the Vegetation Item. Bottom is 0 spawn chance. Localized vegetation placement is used to include a vegetation type the beacon area. This could be used to introduce a new plant in a area, flowers in a garden etc. that does not spawn in the rest of the environment. In order to use enable the Include vegetation checkbox and add one or more Vegetation Types. 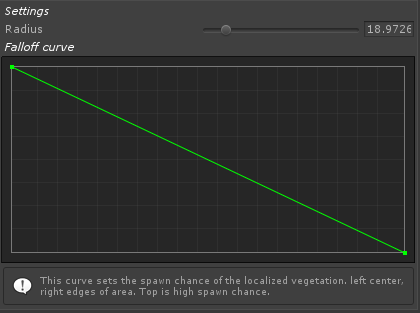 The Vegetation item you want to spawn will have to be set with the same Vegetation Type ID in the Vegetation System component. 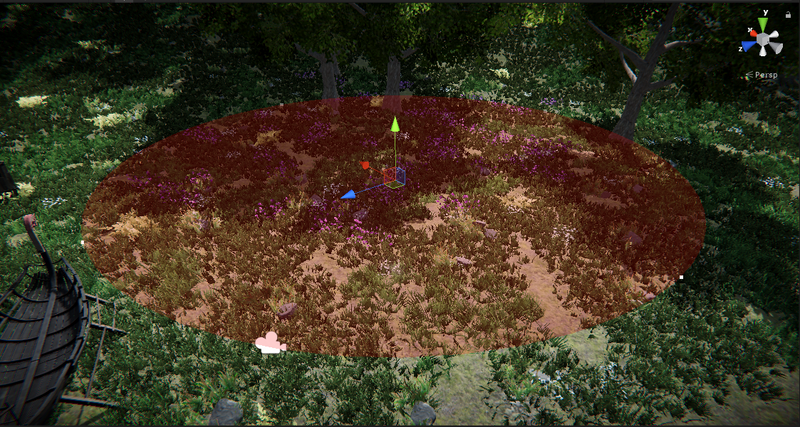 The vegetation item will be spawned inside the area with all normal rules set in the Vegetation System inspector. The density and size of these rules can be overridden on a mask to mask basis. This can give the effect of plants growing over time etc. These settings can be set run-time. This could allow you to switch plants in a field, make them bigger etc. In order to configure a plant to be used for vegetation masks you select the plant in the vegetation system inspector and at the bottom enable the Use Vegetation Mask checkbox and select an ID. Multiple plants can have the same ID.